The role of Mama Rose in “Gypsy” has always attracted great divas, from Ethel Merman to Angela Lansbury, Tyne Daly to Patti LuPone. 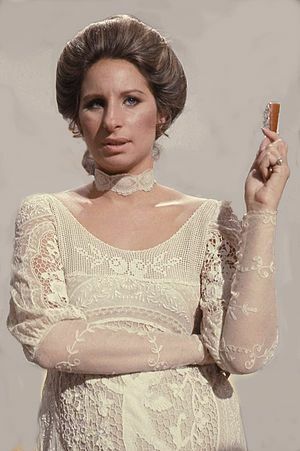 And now comes word that the greatest diva of them all — Barbra Streisand — is next in line. She recently cleared a big hurdle — 92-year-old Broadway legend Arthur Laurents, who wrote the book to the show. He’s also directed several productions, including the scorching 2008 Broadway revival for which LuPone won a Tony. “Barbra and I have been getting along very well now for some time,” Laurents told me yesterday. “We’ve talked about it a lot, and she knows what she’s doing. She has my approval.” Laurents shares control of “Gypsy” — perhaps the greatest Broadway musical — with Stephen Sondheim, who wrote the lyrics, and the estates of Jule Styne, the composer, and Jerome Robbins, the original director. But everybody on Broadway knows that you can’t do “Gypsy” without Laurents’ blessing. And he’s very particular about who plays Mama Rose and how she plays it. He was, I’m told, concerned that Streisand might be reluctant to embrace the brutality of the role. In her drive to make her daughters stage stars, Mama Rose can turn psychotic in a flash. The real Mama Rose killed an agent by pushing him out a window. But Streisand’s a movie star, and movie stars want to be adored. A lovable, human Mama Rose would be a disaster.